TWO MEN were arrested after a “road rage” incident that started on the Garden Grove Freeway Saturday morning. Two people were arrested early Saturday morning when a road rage incident turned into a shooting and a collision in Garden Grove. According to Sgt. Erick Leyva of the GGPD, the incident occurred around 1:20 a.m. in the area of Lampson Avenue and Harbor Boulevard. Pedro Montellana, 22, of Westminster. 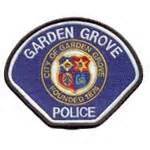 Upon investigation, police believe the incident began on the Garden Grove Freeway. Two vehicles – a red 2007 Ford pickup truck and a white 2014 Hyundai sedan – were traveling westbound on the freeway and the occupants of the autos became involved in a “road rage” incident. During the altercation, the vehicles left the freeway and proceeded north onto Harbor, and at least one of the occupants of the Ford (Montellana) allegedly shot at the Hyundai with what was later determined to be a BB gun. The fracas came to an end when the driver of the Hyundai (Batalla-Olmedo) allegedly intentionally crashed his vehicle into the Ford. One passenger was injured and taken to UCI Medical Center in Orange with injuries that were not considered life-threatening. The two suspects were booked at Orange County Jail in Santa Ana. Witnesses or anyone with information about the incident are asked to call GGPD detectives at (714) 741-5800.